When it comes to workplace safety, our feet are not usually considered a top priority. However, workers who endure hours of physical labor or standing are spending a great deal of time on their feet. According to EHS Today, jobs involving regular heavy lifting and standing for extensive periods can eventually cause severe, and potentially fatal, injuries that start with the feet and work their way up the body. Injuries affecting the knees, hips, and back can also stem from the feet. 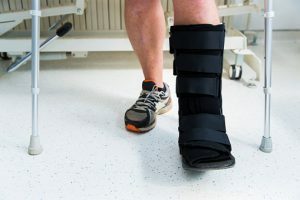 According to the Bureau of Labor Statistics (BLS), over 53,000 foot injuries occur yearly – accounting for 4.8 injured workers per 10,000 employees. Where does the risk start? Anti-fatigue mats: These mats are designed to offer comfort for employees who stand for long periods of time. However, they can become a tripping hazard in the workplace. Pain in feet: A worker’s gait and balance can be affected by pre-existing pain in the foot. This can increase the likelihood of a slip, trip or fall accident. Lack of traction: Slick surfaces are common in many workplaces. If an employee is wearing shoes or boots with poor traction, he or she is at risk of slipping and falling. Poor floor conditions: Uneven surfaces, broken floor tiles, cluttered floors and other defects commonly create a slip, trip and fall hazard. EHS Today also suggests ways to prevent slip, trip and fall accidents, as well as foot injuries. First, they suggest that employers implement insole programs. Wearing insoles can increase comfort while standing and reduce foot pain. They also suggest that employers enact a safety training program to give workers regular reminders of the risks they face at work. Employers can also allow workers two 10-minute breaks per day in order to allow them to sit down. Creating a relaxing work environment with limited stress can go a long way toward preventing workers from making careless mistakes that could put them out of work for months. If you have been injured at work in Rhode Island, you may be entitled to workers’ compensation benefits. An experienced attorney at The Law Offices of Deborah G. Kohl can help. Contact us today to discuss your options. When you think of opioids, you think of pain. That’s been a major factor in the country’s opioid crisis. Someone sustains an injury on the job. To ease their pain, a doctor prescribes opioids. Before they know it, the patient is addicted to painkillers. In the most tragic cases, they die from overdoses. In Massachusetts, the opioid crisis has been particularly cruel to construction and extraction workers (a category that includes earth drillers, blasters and explosive workers, derrick operators, and mining machine operators). 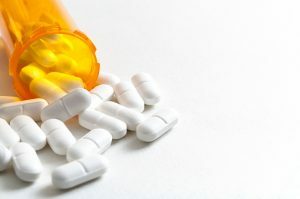 A recent report from the state’s Department of Public Health found those workers are six times more likely to suffer from opioid-related overdose deaths than workers in other occupations. The primary reason is obvious. Because of the very nature of their work, construction and extraction workers are more likely to suffer major on-the-job injuries. As such, they are more likely to be prescribed opioids to help them recover. In their report, researchers found construction and extraction workers had a fatality rate of 150.6 deaths per 100,000 workers while the rate for all other occupations was 25.1. Construction and extraction workers accounted for more than 24 percent of all opioid-related deaths among the working population. Unfortunately, many Massachusetts companies are blind to the dangers of pressuring injured workers to return to work. Similarly, many doctors are quick to prescribe opioids for workers who are in pain without considering the consequences. In the end, it is the workers – and very often their loved ones – who pay the price of addiction. The worker is likely to lose his or her job. Treatment is expensive and options are often limited. Take control of the situation, your life and your future. Contact the experienced workers’ compensation lawyers at the Law Offices of Deborah G. Kohl. They have decades of experience handling cases just like yours, whether you are in Providence, Fall River or Foxborough. They will serve as your advocate, fighting aggressively for your rights while treating you with compassion. They offer free case consultations while working on a contingency basis, meaning you pay nothing unless they win your case. Call or e-mail us today for a free case evaluation. ©2013 The Law Offices of Deborah G. Kohl. All Rights Reserved.